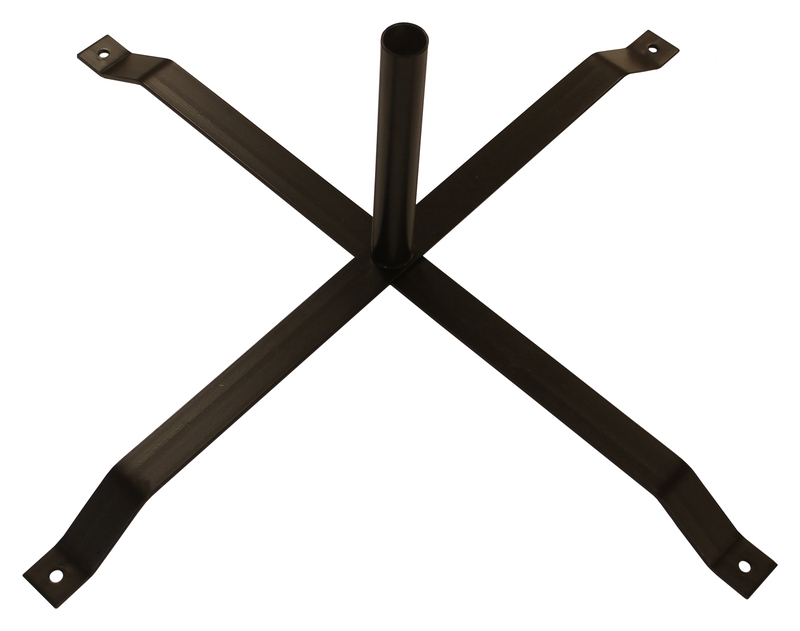 Our X-Stand is constructed from 3-pieces of heavy duty industrial grade steel. The unit consists of two cross pieces which form the X and a third tubular piece which holds the flagpole. Finally, there is an included screw which attaches the tree components together. 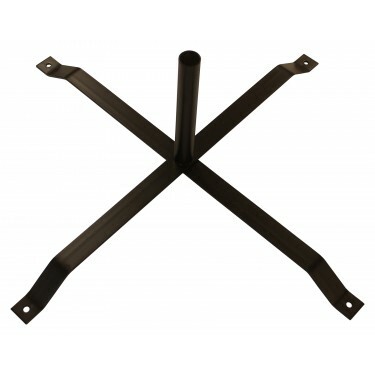 The steel is finished with a durable black powder coating to withstand the elements. This base is designed to display Swooper Feather Flags and Wind-Free Feather Flags on solid flat surfaces such as pavement, asphalt, and indoors at trade shows. 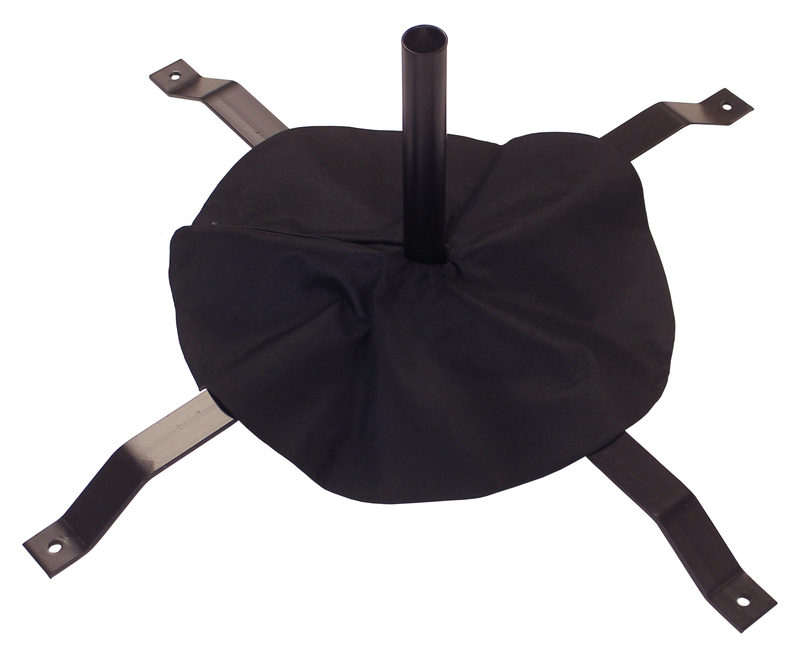 A sand bag is required to provide the necessary stability for indoor or outdoor use.